SAN NARCISO, Calif. (Bennington Vale Evening Transcript) -- With the 2011-2012 school year nearly upon us, researchers from San Narciso’s Poeslaw Institute for Social Research and Development (PISRAD) have uncovered some fascinating information about high school proms. “Despite the dreadful economy and tight spending restrictions that many families have imposed on themselves, the money shelled out on proms continues to increase,” reported Janus Heuchler, PISRAD director and head of the project. Although sometimes discounted as nostalgic displays of bygone pageantry, criticized for being outdated or, even worse, deemed exclusionary to those not in the upper middle classes, proms have experienced a surge in a harsh economic climate that has seen consumer spending drop in nearly every other sector. 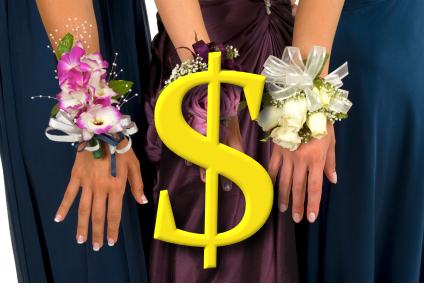 PISRAD, which works closely with government agencies on various sociological studies, also said that the cottage industry sired from prom-related services and products may be the last vital market segment in the nation.